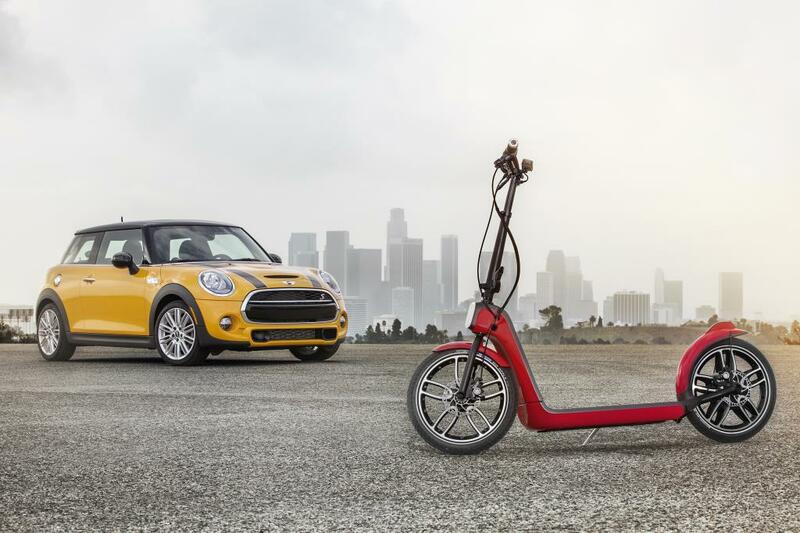 This entry was posted in news and tagged concepts on November 20, 2014 by James Day. 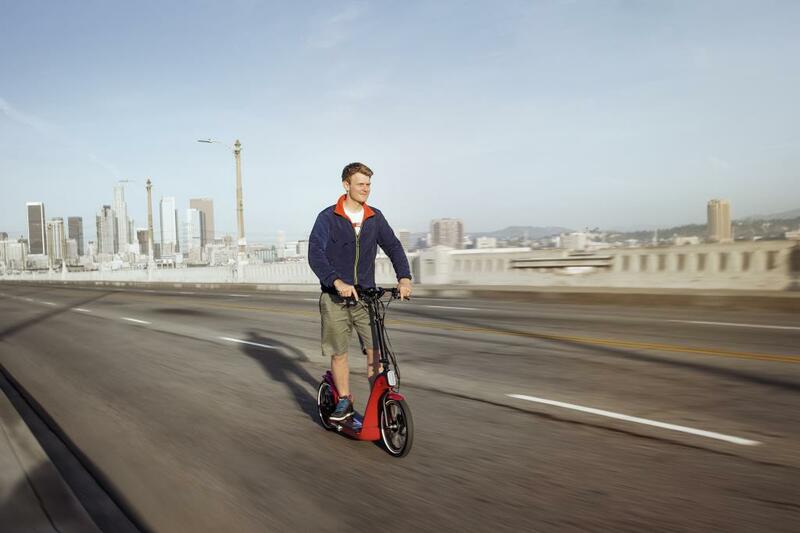 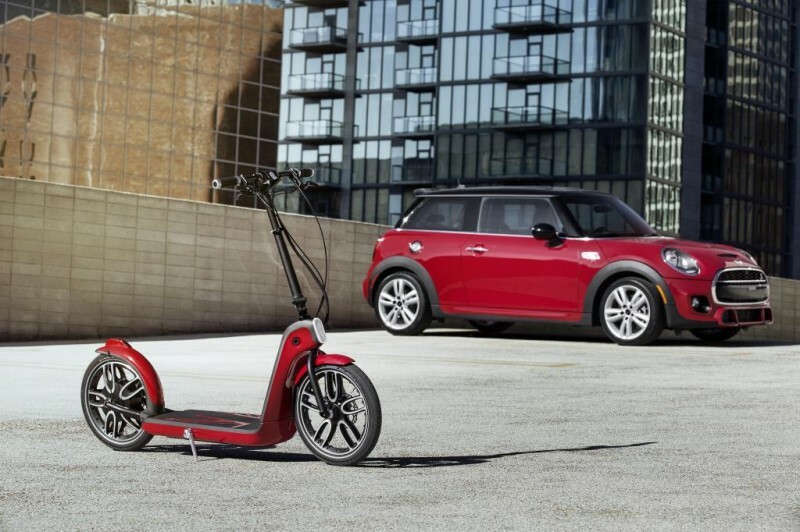 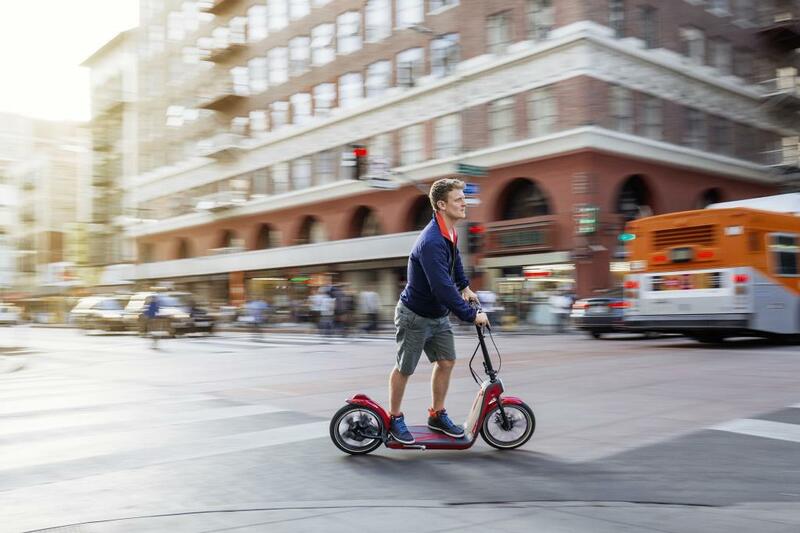 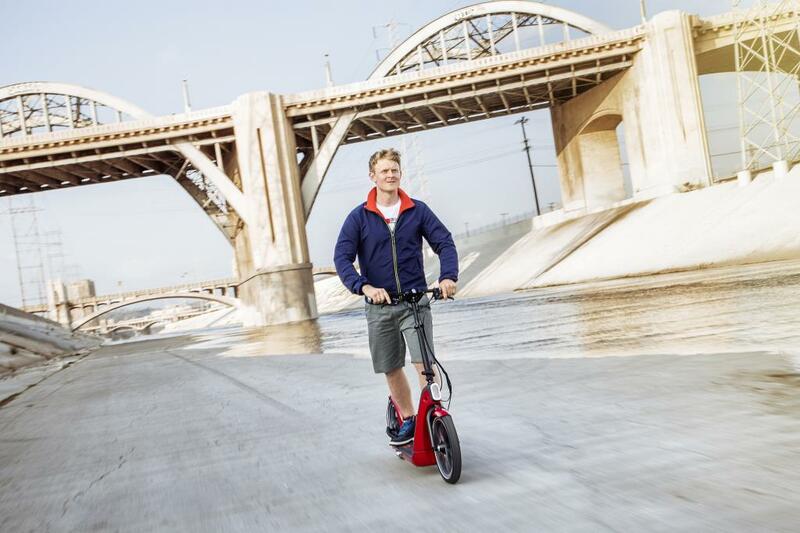 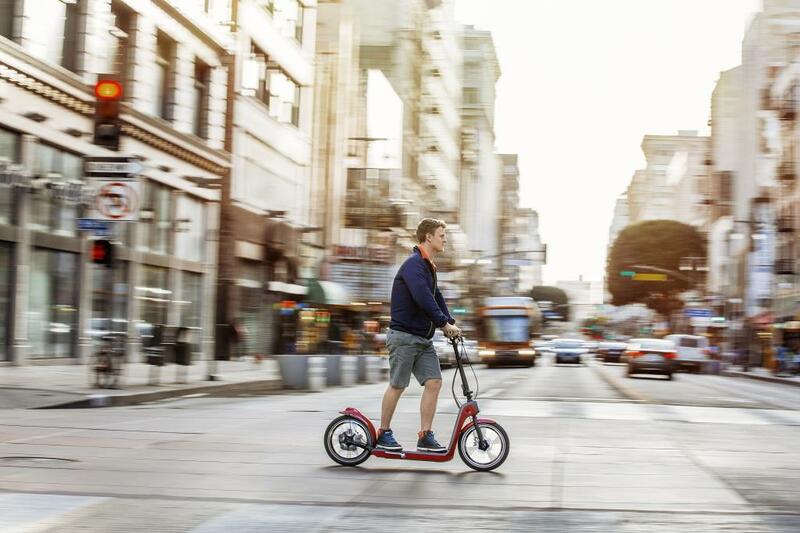 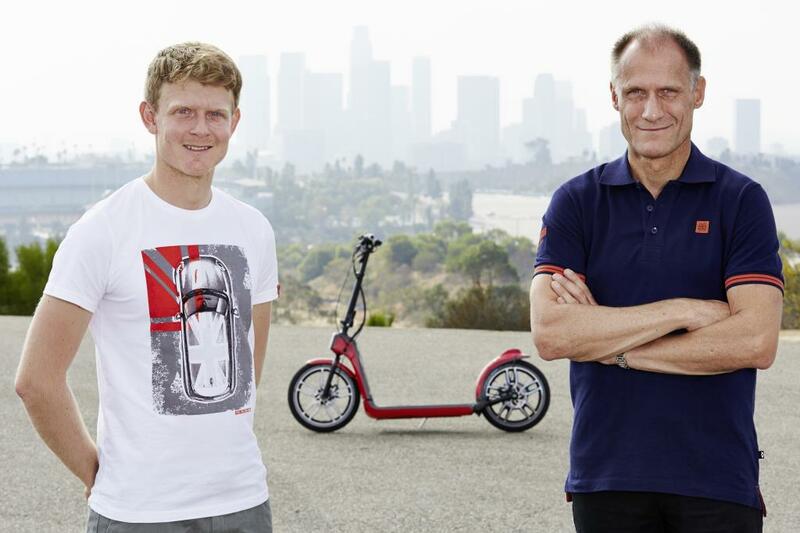 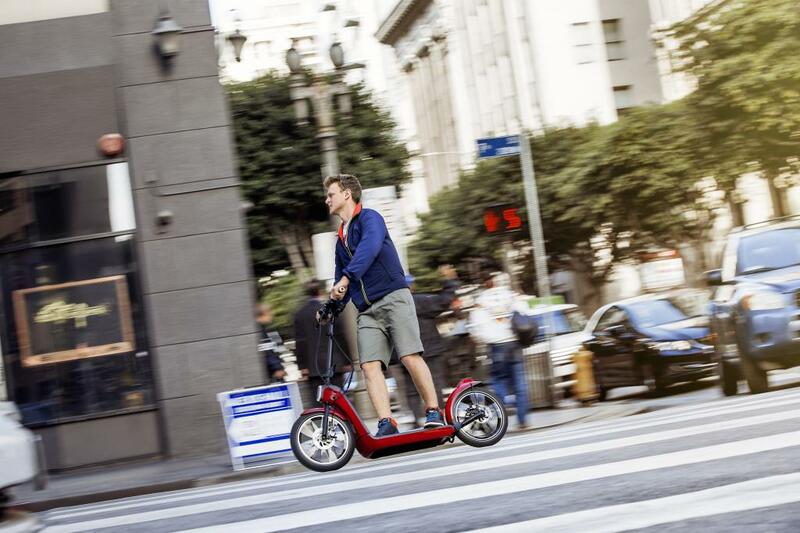 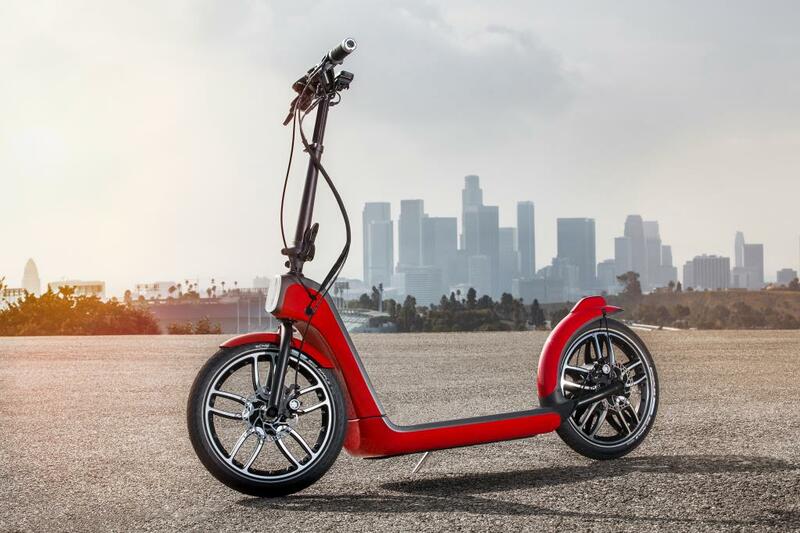 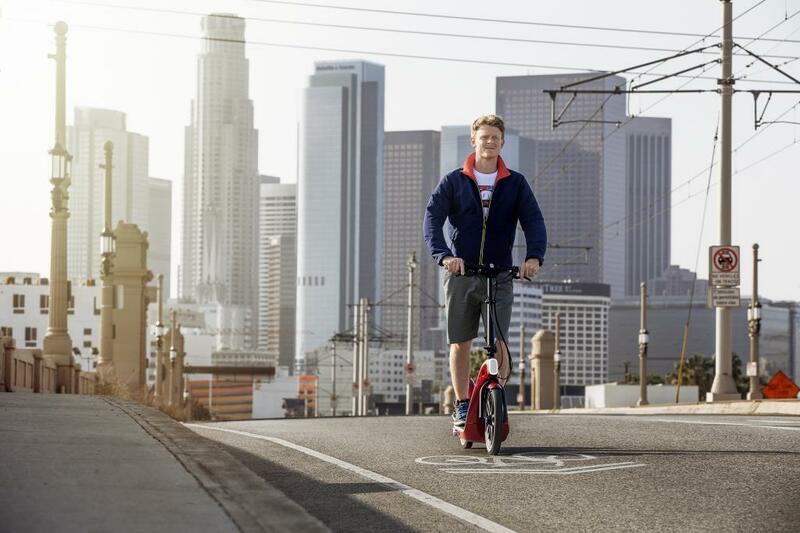 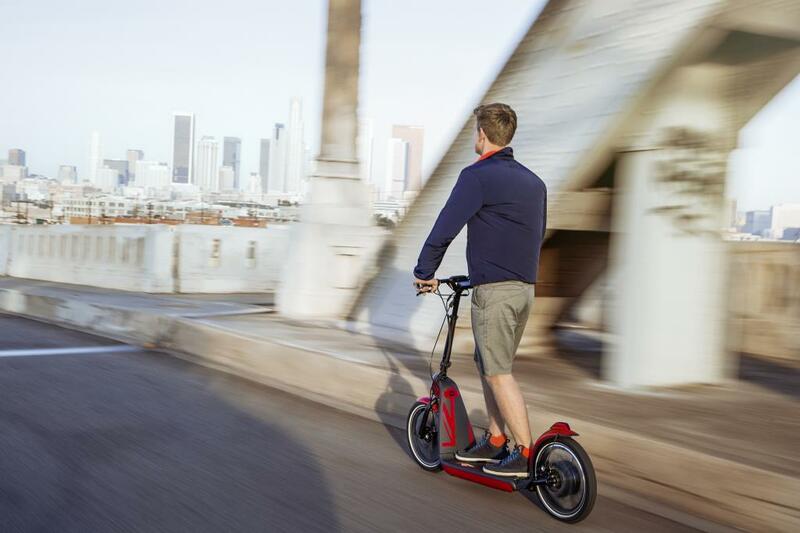 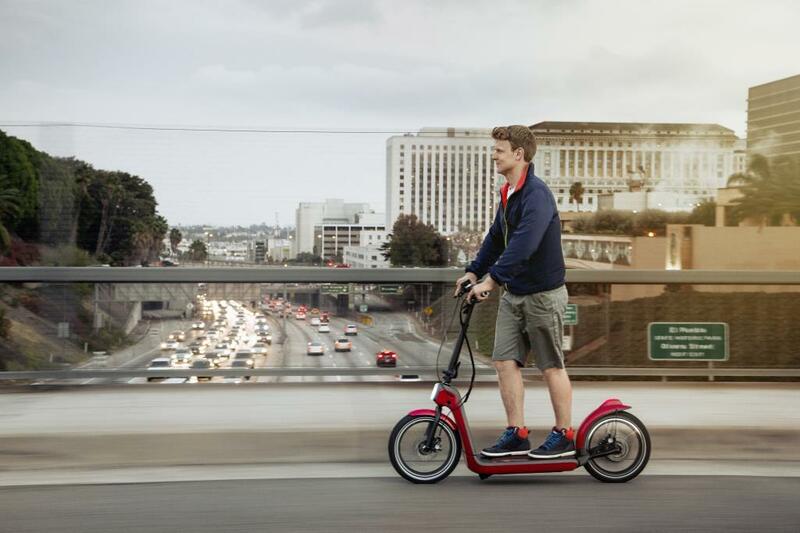 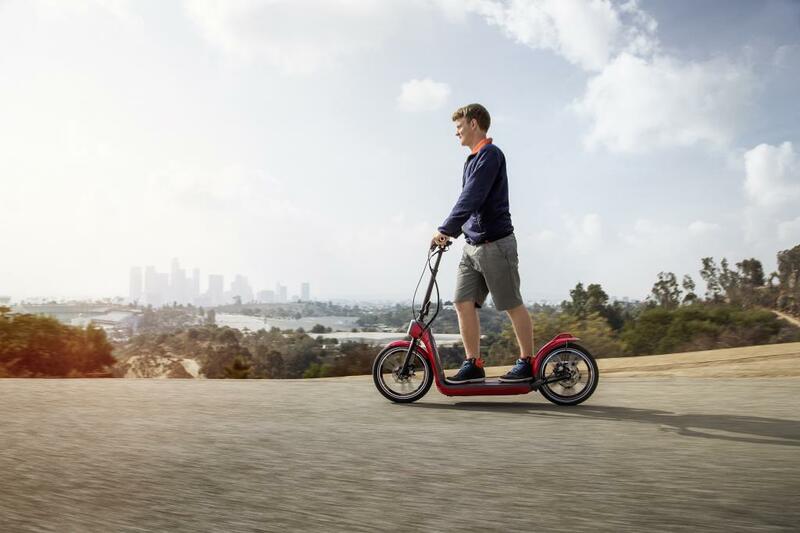 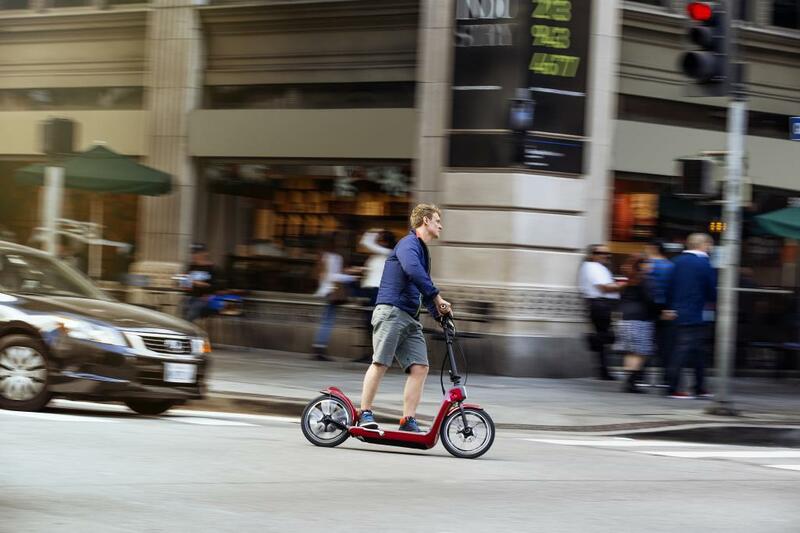 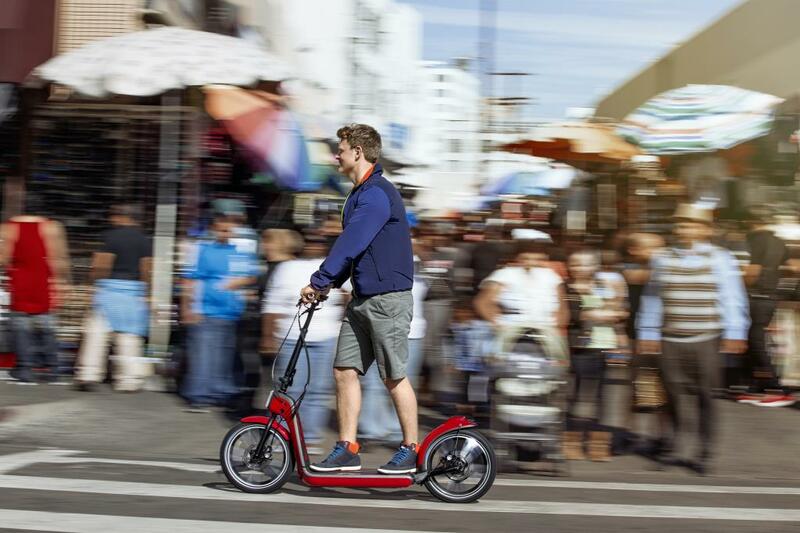 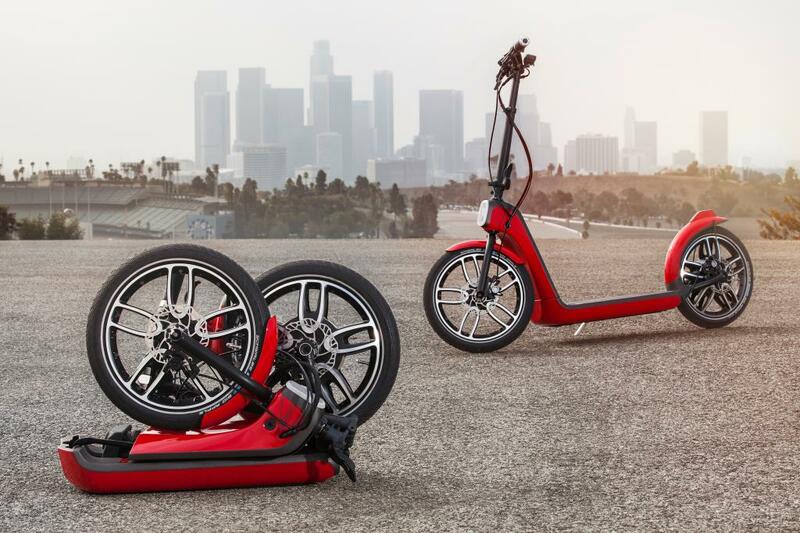 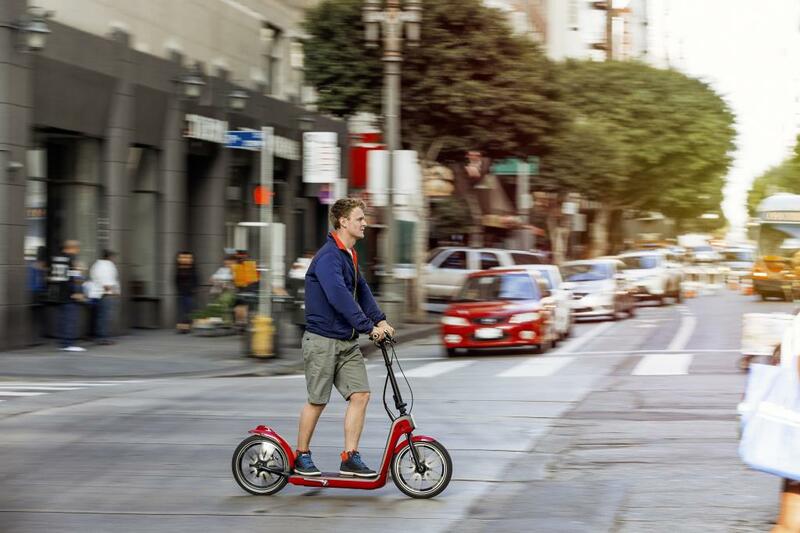 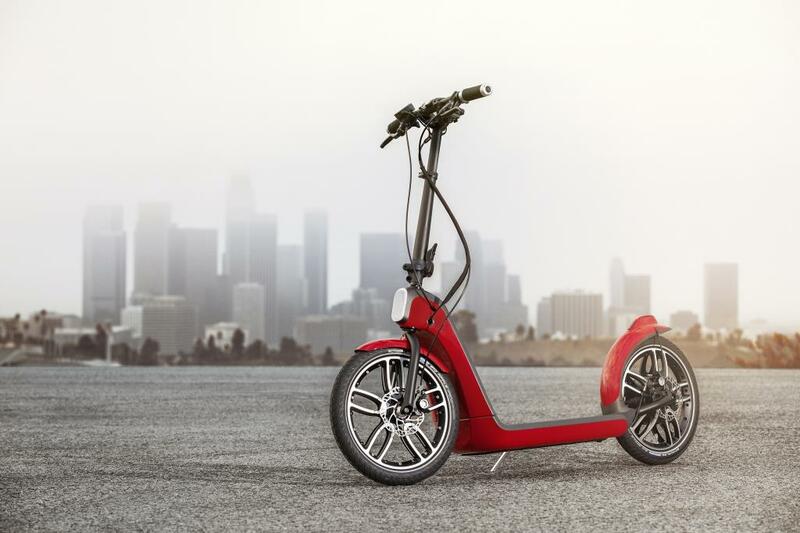 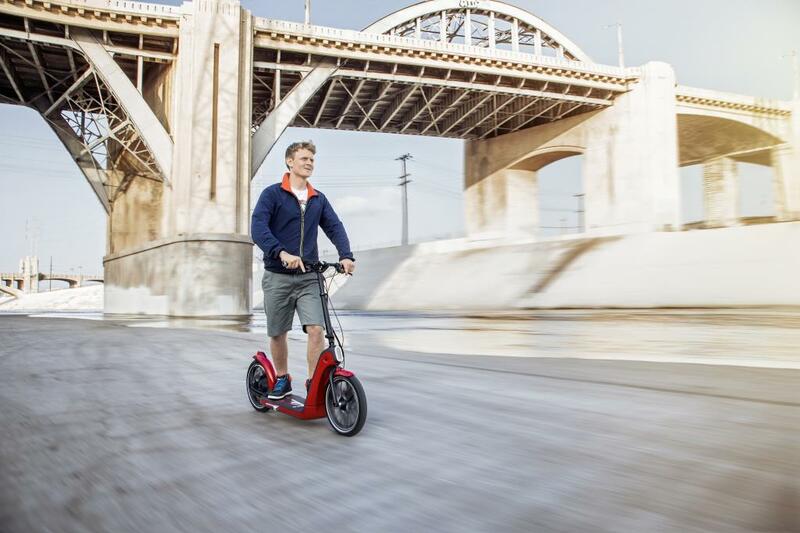 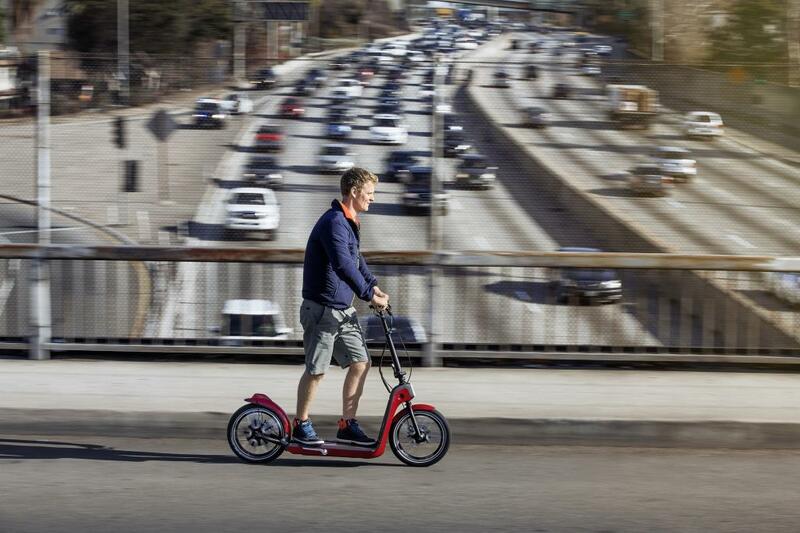 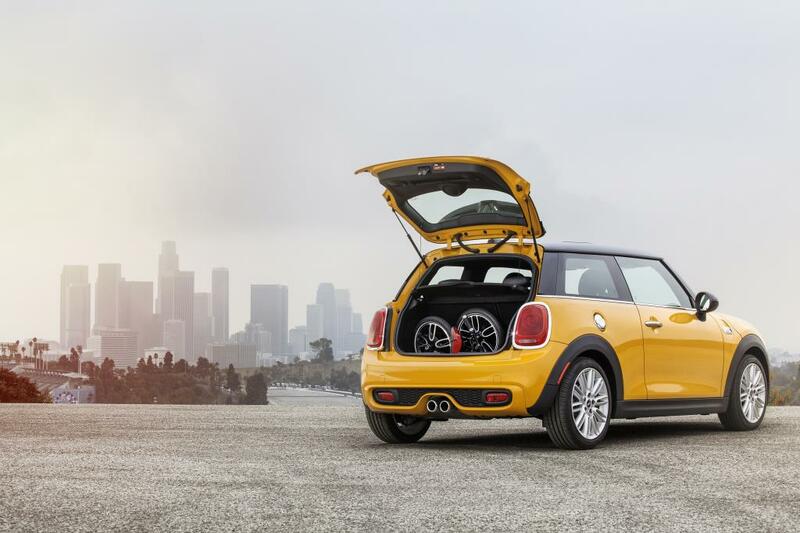 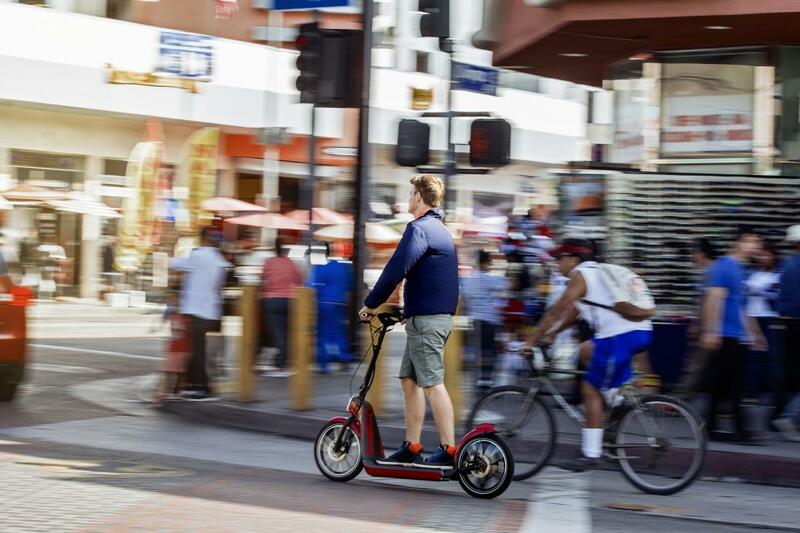 MINI debuted the MINI Citysurfer Concept, an electric powered kick scooter. 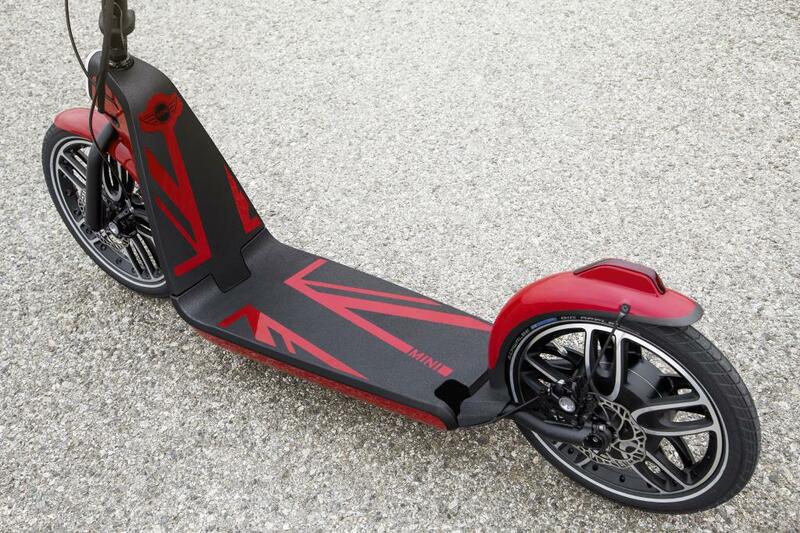 Top speed is 15 mph. 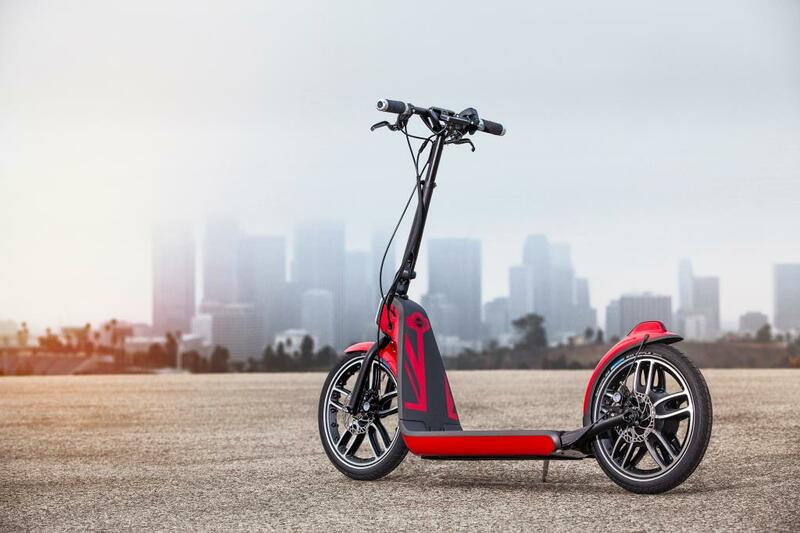 Range is 10-15 miles on a 12 V charge. 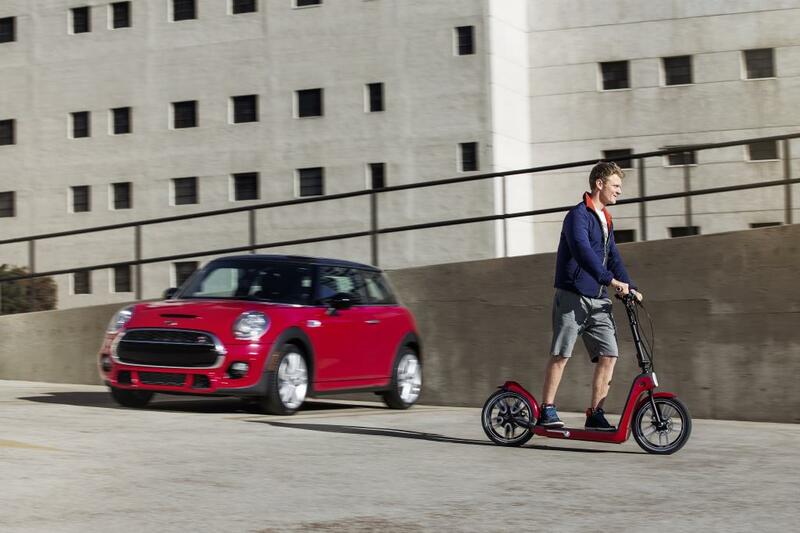 MINI presents an innovative concept providing increased flexibility for individual mobility in conurbation areas; MINI Citysurfer Concept combines the agile riding properties of a kick scooter with an electric drive and expressive design features in the style of the British premium brand. 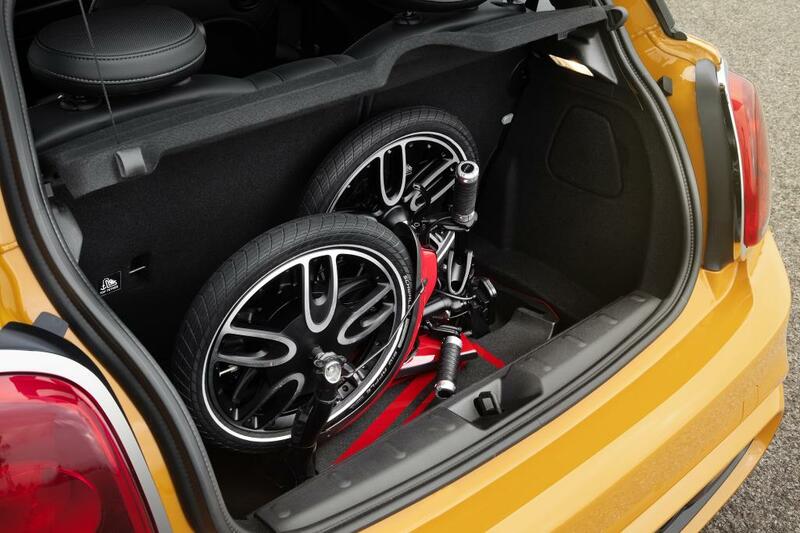 Wide range of potential uses due to compact structure, foldability and low weight of just 18 kilograms (40 lbs); MINI Citysurfer Concept suitable both for use on its own and in combination with other means of transportation; easy to transport, for example in the luggage compartment of the new MINI 3 door or on buses and trains; minimum traffic space due to single-track concept, enabling spontaneous and convenient mobility even in those sections of an urban area not accessible to motorised vehicles; therefore the ideal mobility supplement for covering the distance between car park, rail or bus station and final destination. 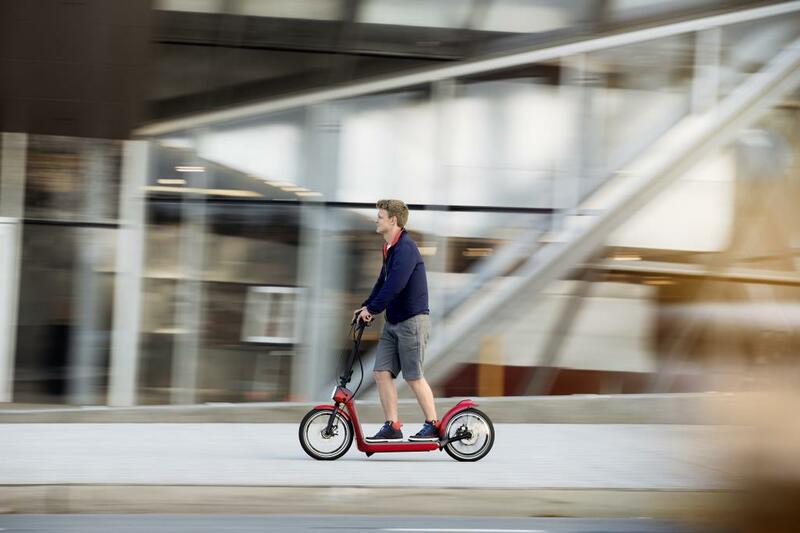 Auxiliary electric drive with thumb-operated accelerator and gearless hub motor in the rear wheel; electric motor power permits top speed of 25 km/h (15 mph); electric drive of the MINI Citysurfer Concept is not activated until a minimum speed is reached from the rider’s own physical thrust; motor is deactivated by means of a brake lever. 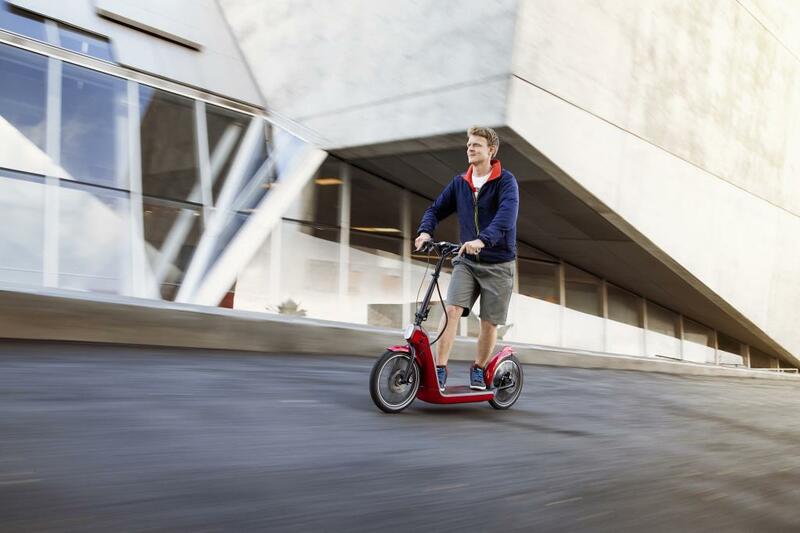 Power supply via lithium-ion battery permanently installed in the frame; charging via 12-volt automobile socket or household socket; charging during travel by means of brake energy regeneration when brake is activated; battery management system with integrated power electronics; electric range: 15 to 25 kilometres (10 – 15 miles); use of the MINI Citysurfer Concept possible at any time, independently of auxiliary electric drive using physical strength and without rolling resistance from the motor. 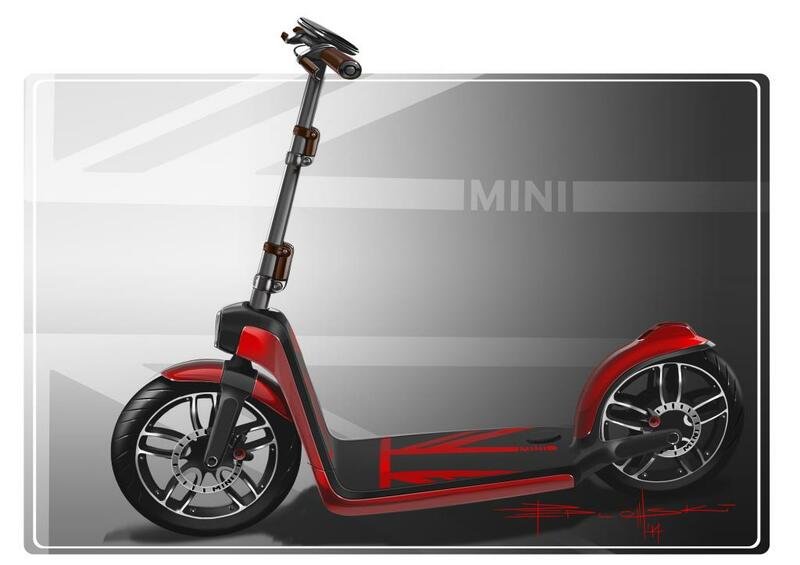 MINI Citysurfer Concept has safe, versatile and agile riding properties, large wheels with pneumatic tyres also make it suitable for bumpy paths, low foot board, stable frame and height-adjustable handlebars; three brake systems which operate independently of each other; recuperation brake via electric drive generator function, hydraulic disc brakes at the front and rear wheel; excellent deceleration and agile handling since there are no limits to the rider in shifting the centre of gravity; good all-round view and visibility to other road users due to upright riding position; folding concept with safety function for correct engagement when unfolding. 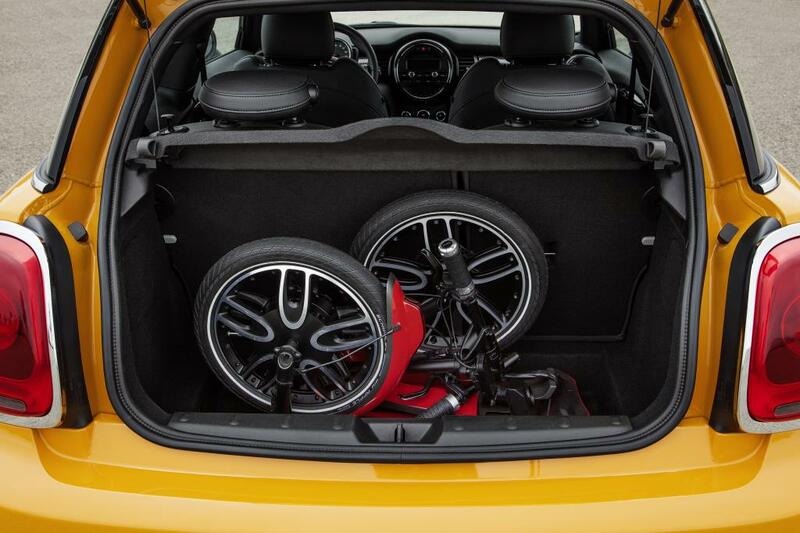 Protection from dirt and weather impact due to trim parts and wheel covers at front and rear; extended range of potential use of the MINI Citysurfer Concept for both private and work-based mobility; additional everyday functionality with mobile phone holder and charge facility on the handle bars; use of Last Mile Navigation possible in conjunction with the MINI Connected XL Journey Mate. 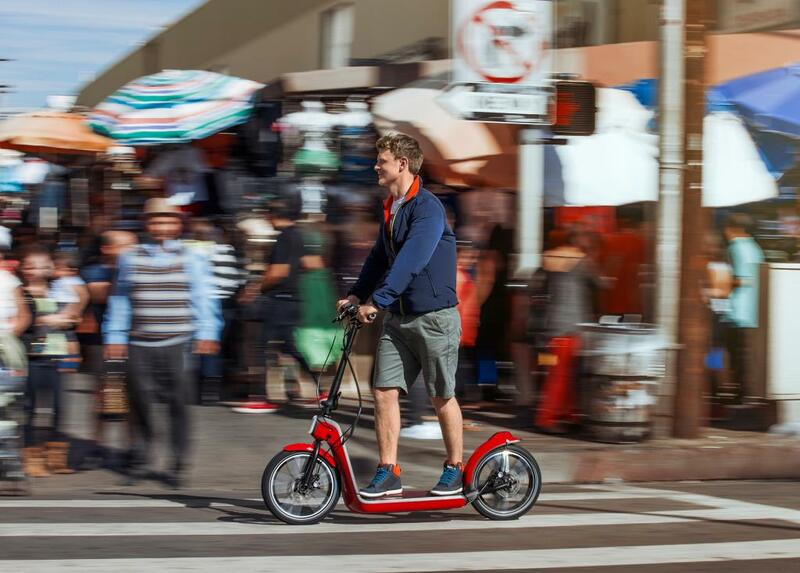 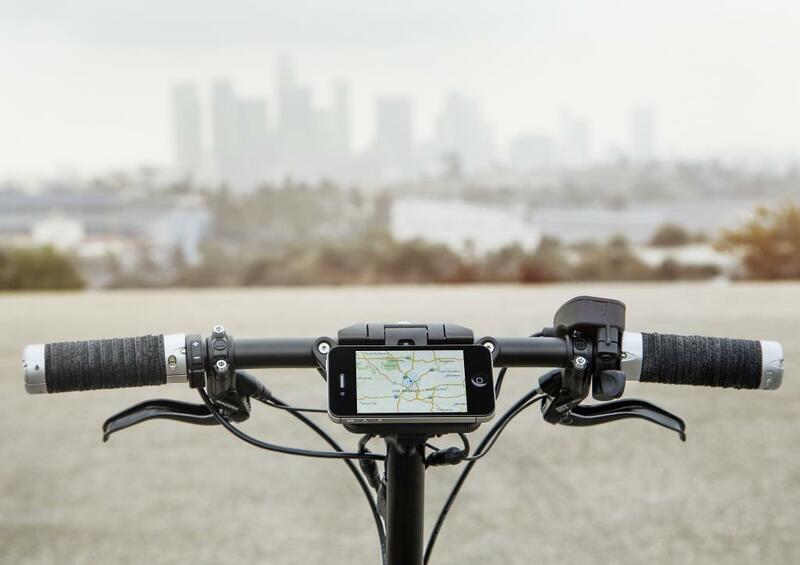 Vehicle fittings flexibly adaptable to market-specific public traffic regulations; MINI Citysurfer Concept also usable by young people going to school or travelling in their leisure time. 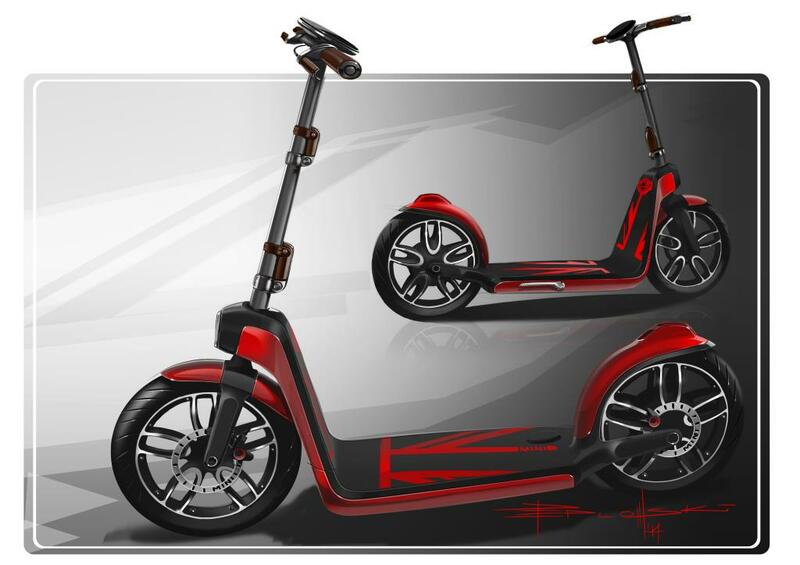 Vehicle concept covers the entire range of individual urban mobility: commuting to work and school, sight-seeing and shopping, tourist excursions when on motor home, camping or boat holidays; spontaneous riding fun typical of MINI derives from the interaction between rider and electric motor when generating propulsion.